Sometimes it’s hard to tell if you’re having an issue with your home appliance or device, or if it’s something more serious like an electrical issue. You may think you need to upgrade your gadget, when your problem could easily be fixed by your Gilroy electrician from Wright Electrical Company. 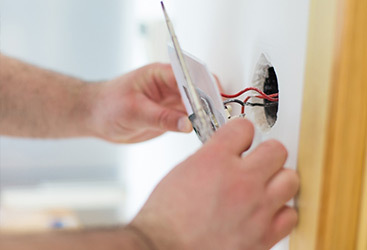 Here are a few things you should look out for in your home to determine if you have an electrical problem that needs to be addressed by a professional. Flickering lights: This may indicate a problem with the electrical wiring. Light switch won’t work: Electrical wires may have been crossed at some point. Sparks when you plug something in: This could be a fire hazard. Outlets are hot to the touch: This could indicate another potential fire hazard. You get shocked when you plug something into an outlet: This could be a wiring problem. A light-bulb explodes: This may be caused by a voltage issue. 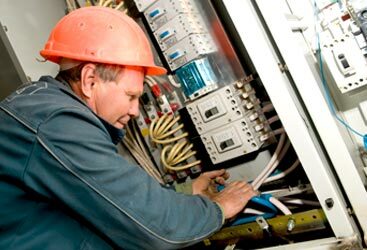 When it comes to electrical problems, it is best to leave it to the professionals. Working with electricity can be dangerous, and the electricians at Wright Electrical Company are trained to take care of any of your electrical needs. We offer free, competitive estimates, and we won’t take advantage of our customers. We even welcome our customers to submit other electrician’s bids to be sure you’re getting the best price for the service you need. 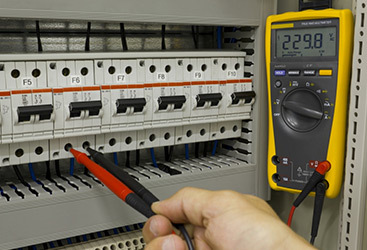 Don’t hesitate to call Wright Electrical Company for your electrical needs today. We will show you the difference in service and quality that you’ll receive when you choose us to fix your electrical problems.